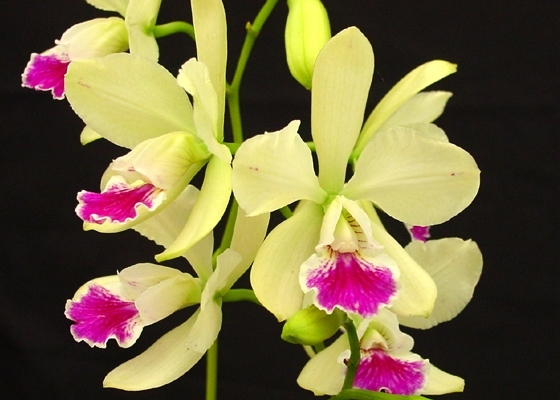 These charming flowers of pastel yellow-green have a bright fuchsia lip, and are of large size relative to their plant. One of the best of its kind for making an outstanding show every year. 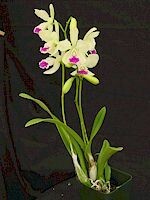 From the unusual crossing of the large-flowered Cattleya species, mossiae, and the diminutive Encyclia tampense. Pleasant sweet aroma!Temperature Tolerant. July blooming.